Dr. Balogh's main dental assistant. 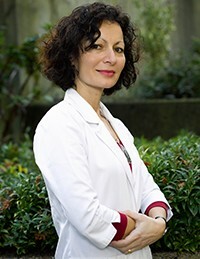 Maria has vast experience in Dentistry as well as Medicine. 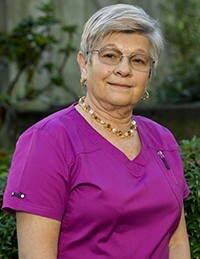 She attended medical school in the Czech Republic to the 4th year but had to quit her studies due to the conflict in 1968 and she fled to Canada. She has been with Dundarave Dental since 2000. 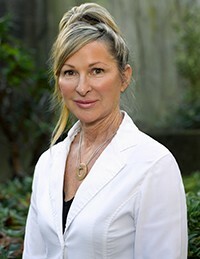 Her previous experience was as nurse with Vancouver General Hospital and assistant to Oral Surgeons and Endodontist specialists. Danielle Mackie is one of our hygienists. She has been in hygiene for over 25 years and offers experience with comfort and an enjoyable experience. She has been with the office since 1998. Certified Dental Assistant, primarily works with the hygiene team but also assists in all aspects of X-rays, whitening, impressions and general duties. She has been with the office since 2002. Christine Warwick is our general office manager. Chris has been with this office for over 35 years. She has been involved in all aspects of Dentistry from assistant, treatment coordinator to receptionist, book keeping, and now office manager. Moira is our main first in line personnel and Moira has been the office since 2001. Susan is our Friday receptionist. Susan is very personable with a wealth of dental reception knowledge. Betty is a certified dental assistant who has been with the practice for a number of years, Betty brings a lot of knowledge to the table. She can be counted on to assist Dr. Alan Keil on many of his extensive ortho classes. Kristine Spooner is our Monday and Friday hygienist, whose vast knowledge on dentistry makes her a valuable asset to the practice. Her winning smile and gentle manner makes her a favorite with many of our patients.